Come look at this 1,960 square feet home that has the space to expand as your needs grow. This home is spacious and efficient with 2 secondary bedrooms, a large master and an oversized bonus room on the upper level, perfect for the growing family! Youll love the open main floor which connects the kitchen and great room for a variety of entertaining needs. The kitchen boasts an oversized "eat in island, and full walk-in pantry. 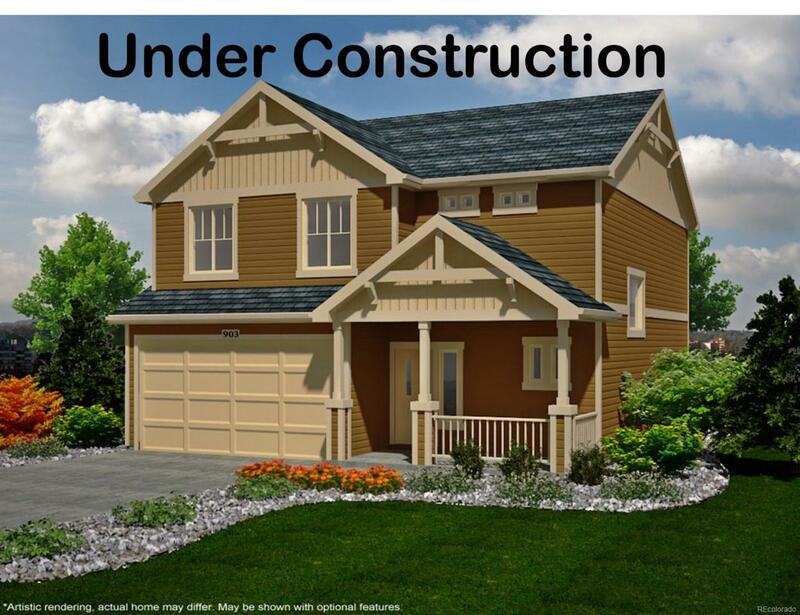 Finally, this home will include full landscaping in the front and back yard of the home. Finishes include; engineered wood flooring in kitchen and living room, and dining area, carpeting in bedrooms, vinyl flooring in secondary wet areas, White Icing cabinet finish, and tile flooring and surround in master bathroom. Offered by Colorado Key Realty Llc.